I think it's safe to say that pretty much everyone reading this knows the David Bowie Story pretty well by now; grew up on the south-east London/Kent border (Bromley area), worked his way through several mid-'60s beat groups before discovering Theatre and making some fairly bad Anthony Newley-style recordings which came back to haunt him years later, before signing with Philips in 1969. 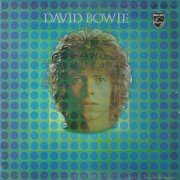 David Bowie (titled Man of Words/Man of Music in the States, and reissued as Space Oddity in 1972) was Bowie's first proper album, and while I'd hardly call it a classic, it certainly wasn't an embarrassment, and featured one cast-iron classic in its (eventual) title track. The haunting Space Oddity was originally to have had a string section on it, but after getting session keyboardist Rick Wakeman (who he?) to lay down a guide part on Mellotron, the end result was so good that producer Tony Visconti got Rick to double-track it, creating a lasting Mellotron Classic and a hit single into the bargain. 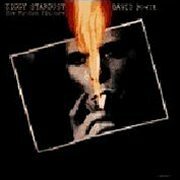 I'm told (thanks, Bill) that Visconti makes a reference to 'Tron string and flute overdubs on The Wild Eyed Boy From Freecloud on the audio commentary to Ziggy Stardust - the Motion Picture, but it sounds like nothing more than regular orchestral accompaniment to me. Maybe it's buried deep in the mix? Why? 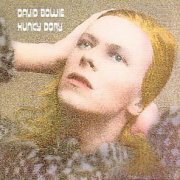 Now, there's been a real on-off debate going on at PlanetMellotron Towers over 1971's Hunky Dory (means 'alright', for non-Brits), which has finally been settled (thanks, Johannes!). The latest CD issue (with the previous issue's bonus tracks mysteriously and irritatingly removed) apparently credits Spiders From Mars guitarist Mick Ronson with 'Tron, and once Johannes pointed the bits out to me, they did indeed become apparent. Overall, the album is still quite formative, but contains some great material nonetheless, notably the two singles that open the collection and the excellent Life On Mars? As for that Mellotron, there's a few seconds in Changes that quite clearly aren't the orchestral strings otherwise deployed in the song, and Quicksand has an even less clear part, so don't bother with this on that front, although it's well worth it musically. Ziggy Stardust (*****) and Aladdin Sane shot Bowie to superstar status, with his famed chameleon-like personality driving him to change his image every year or two. Although I thought the latter to be Mellotron-free, I've been alerted to the great string pitchbends in Drive-In Saturday, presumably played by Ronson again, although it could just as easily have been Bowie himself, as the album credits simply state 'played by David Bowie and Mick Ronson, with...' The album is a triumph, featuring future David classics such as Cracked Actor and killer single The Jean Genie, coincidentally using exactly the same riff as The Sweet's contemporaneous Blockbuster, which just goes to prove how a great glam riff is a great glam riff. 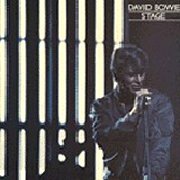 By 1974, Bowie was still recognisably the same person who was in the charts with Starman and The Jean Genie two years earlier, although that was about to change. 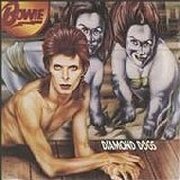 I think it's fair to say that Diamond Dogs was the last album of his early-'70s phase, still bearing some musical relationship to its immediate predecessors, letting that particular Bowie persona bow out in style. 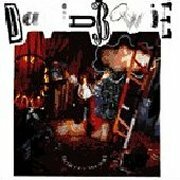 It has a grubby, urban feel to it, with strangely simplistic guitar parts due to the fact that David played them himself, along with much of the other instrumentation, including the Mellotron. 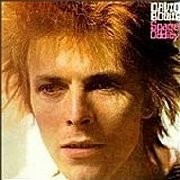 The tracks tend to run into each other, giving the album a cohesive feel missing from much of Bowie's work. There are several Bowie classics on offer here, including the title track and the immortal Rebel Rebel, not to mention 1984. The album opens with what sounds like Mellotron strings and cellos under the apocalyptic narration of Future Legend, a trick Bowie seems to have lost over the years (see: Never Let Me Down below), before the killer title track. Sweet Thing and its reprise feature 'Tron flutes, but Big Brother is the standout 'Tron track on the album, with stacks of choir, including a great single-note part, and what sounds suspiciously like Mellotron sax (listen for the key click on the faster runs). All in all, a great album, and just about worth it for the Mellotron. By the time David toured the album, however, he'd invented a radically new persona, the Thin White Duke (namechecked in Station To Station), characterised by baggy suits, short, floppy hair and even more extreme cocaine use. Allegedly. As yet, though, his sound hadn't changed that much, and of course, he had to rely on his back catalogue to pull in the punters. 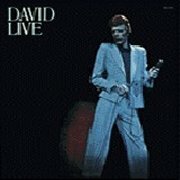 David Live is a good tour document, giving an overview of where Bowie was at in 1974, with somewhat rearranged versions of his classics pointing in the direction in which he was headed. Tracks from his previous five studio albums, ignoring the rather pointless covers set, Pin-Ups (***), a cover (Knock On Wood, soon to be a single) and the 'one he gave away', All The Young Dudes, a major hit for Mott the Hoople, of course. Bowie seems to've been trying to reclaim 'ownership' of the song ever since, by performing it whenever possible. Hey, David, it's got your name on it, OK? There's only a couple of bits of Mike Garson's Mellotron on the album: a similar arrangement of Moonage Daydream to the one we'd subsequently hear on the live Ziggy Stardust album, and a single chord at the end of All The Young Dudes. Good album, but forget it for the 'Tron. Incidentally, 2005's expanded reissue adds four tracks, excluding the band intros tacked on the end, including, unsurprisingly, rather creaky strings and unexpected choirs on a slowed-down Space Oddity. 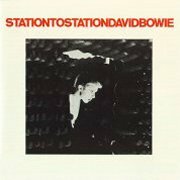 After the dull cod-soul of Young Americans (**½), Bowie's second and last 'soul' album, Station to Station, came as a refreshing surprise. In retrospect, future echoes of his 'Berlin period' are apparent, with the smallest number of songs ever on one of his albums, although you can still hear his recent influences on most of the tracks. Golden Years is far better than anything on its predecessor, with most of the other tracks being worth hearing, if decidedly 'un-rock'. I presume that Bowie picked up his Chamberlin while touring the States in '75/'76, as it appears to get its first use here, on Word On A Wing, with what sounds like separate male and female choirs, towards the end of the song, while the strings on Stay sound suspiciously Chamby-like, too. Incidentally, 2010's three-disc reissue contains the entire 1976 Nassau Coliseum set, but all Mellotron/Chamberlin parts are provided by a Solina string synth, played, surprisingly, by Tony Kaye, ex-Yes/Badger. Bowie quickly tired of the Thin White Duke, and in '77, moved to Berlin to chill out for a while, recording his famed 'Berlin' trilogy. 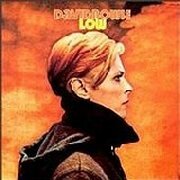 Low apparently partially consists of rejected soundtrack material for his first major celluloid adventure, 'The Man Who Fell to Earth', and is split between (relatively) straightforward songs on side one, and longer proto-ambient pieces on the flip, with considerable Eno input; both halves of the album are good, but side two's of more obvious interest to the tape-replay fan. Actually, there's some confusion over the Chamberlin use on this album, caused by credits on Speed Of Life ('tape horn and brass'), Always Crashing In The Same Car ('tape cellos') and A New Career In A New Town ('tape sax section'), which may or may not be Chamby; I can't actually imagine what else he might've meant by it. Only the cellos sound much like the instrument, but with its notorious ability to slip quietly into the mix, it's rather hard to tell, so they're getting credited anyway. Of the two definitely credited tracks, there's little obvious use on Art Decade, despite both Bowie and Eno playing it, but the lengthy, moody Warszawa is chock full of cellos and flutes, played by Eno; a Chamberlin classic, no less! 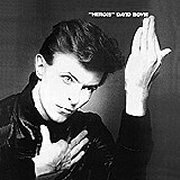 "Heroes", from later the same year features more Chamby, presumably played by either Bowie or Eno, though without credits, it's not always easy to say where. Opener Beauty And The Beast has what sounds like Chamberlin flutes, "Heroes" itself has what may be brass stabs, and the strings on Sense Of Doubt are almost certainly Chamby, too, but they could be one of the more sophisticated string synths around at the time, although not going by that wobble... None of this is helped by Robert Fripp's guitar work, with his long sustains, often building up into string-like chords. Four probable tracks, then, although there could be either more or less. 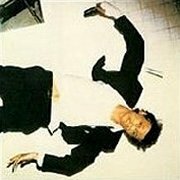 Lodger, with its confusing 'arse about face' sleeve is the 'lesser cousin' of the trilogy, with noticeably weaker songwriting than the other two, although there's a block of better songs in the middle of the album, from Red Sails to the album's only 'proper' hit, Boys Keep Swinging. 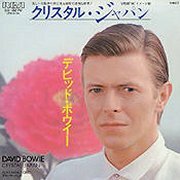 There's only one credited Chamberlin track this time round, too, the minor hit D.J., with some great, cranky strings played by Mr. Bowie again. Wouldn't go too far out of your way for this one, really. 1980's Scary Monsters... & Super Creeps was probably Bowie's last Chamberlin album, and unless it's even less audible than usual, it's only to be heard on major-ish hit Ashes To Ashes, with some block string chords, and what I take to be choirs on Because You're Young, but once again, it's extraordinarily hard to tell. Overall, the album's far better than I expected from this stage of Bowie's career, although the quality dips a little on side two, particularly on the "Heroes"-alike Teenage Wildlife. Fripp's on guitar again, and makes his presence felt all over, lifting several tracks from the mundane, with the first three songs being the equal of anything The Dame released around this time. So, cautiously recommended, though obviously not for its Chamberlin content. Incidentally, the long-deleted early-'90s EMI CD adds several bonus tracks, including a Japanese-only single, Crystal Japan, belatedly issued as the UK b-side to Up The Hill Backwards in '81. An instrumental (it was used in a Japanese TV ad), it features Chamby strings alongside what I presume are Chamberlin choirs, and is also available on the All Saints: Collected Instrumentals, 1977-1999 compilation. In 1983, a concert film from a decade earlier did the rounds in the cinemas, entitled Ziggy Stardust - the Motion Picture. Sadly, it wasn't very well shot or edited, but it's still fascinating as a document of Bowie's so-called 'farewell' gig, which he later backed out of by saying it was his 'farewell' to the Ziggy Stardust character, rather than to himself. Hmmm. Also sadly, the rumoured footage of audience members performing almost unspeakable perversions in the aisles of the good old Hammersmith Odeon is nowhere to be seen. Pity. Prudery or myth? We may never know. I always wondered why its carpet was so sticky... Anyway (ahem); a companion double-LP soundtrack was released and, sad to say, it sounds terrible. The content is excellent, but the sound quality is, frankly, rubbish; muffled and appallingly mixed, it tries its damndest to obscure the qualities of the Spiders From Mars beneath layers of murk. For all that, it's worth having, and I believe a remastered version is about to become available, which may bring its standard up to just about acceptable. There's some M400, played by Bowie's then-keyboardist, Mike Garson, on three tracks. Space Oddity has Garson's attempt to recreate Wakeman's majestic sound, only on a single M400 rather than a double-tracked Mark II, which makes it rather doomed to failure. 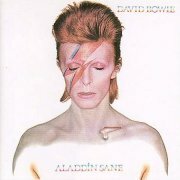 The other two tracks, both from Ziggy Stardust, Moonage Daydream and Rock'n'Roll Suicide, have Garson replicating string section parts, with only partial success. So, top marks for the music, but neither the sound quality nor the Mellotron content make it really worth the purchase. n.b. Having finally heard the remastered CD, I can happily report that the sound quality issue has been sorted out (I've bumped its star rating up accordingly), while Changes has been moved to its correct place in the running order. After many more howlers, Hours..., from '99, was a slight return to form, but only compared to its many terrible predecessors (let's draw a discrete veil over Tin Machine, OK?). It's actually pretty forgettable, but that's rather better than all-out shite, making it a rather dim star in the Bowie firmament rather than a gaping black hole. A 12-string acoustic-driven number, Survive, is the sole Mellotron track here, with some spacious strings played by Mark Plati, although, given that the final chord holds for sixteen seconds, not to mention its less-than-fully authentic sound, samples it is. 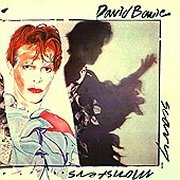 I have to say, it's nice to see that Bowie's never fully forgotten the tape-replay concept; however awful Never Let Me Down was, it was a rarity in the late '80s simply for the inclusion of a Mellotron, although, of course, time's rather caught up with Mr. Bowie now, with Mellotrons, or at least their sounds, being more popular than ever.